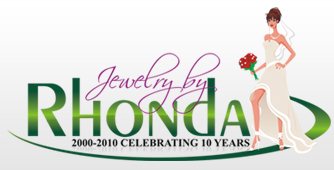 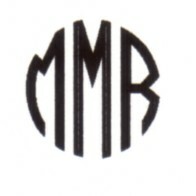 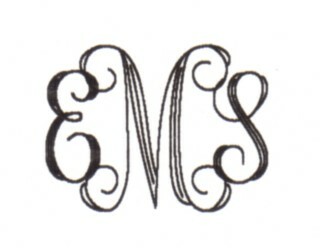 Are you looking for a monogrammed, engraved, personalized jewelry gift for your bridesmaids, mothers, flowergirl, etc.? 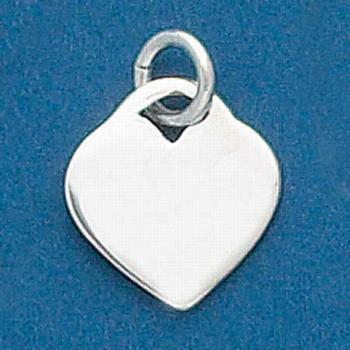 We have several items (charms, pendants, bracelets, earrings, rings, etc.) 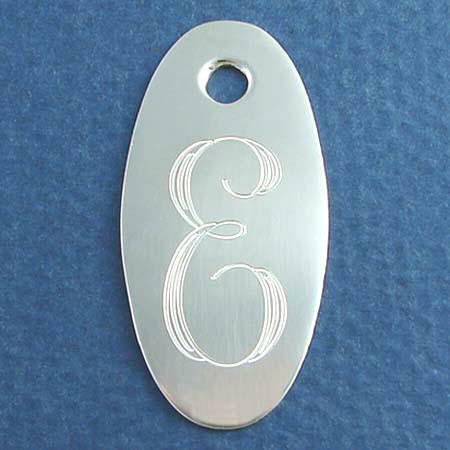 for the women in the wedding party to compliment the men's engraveable items we carry for groomsmen. 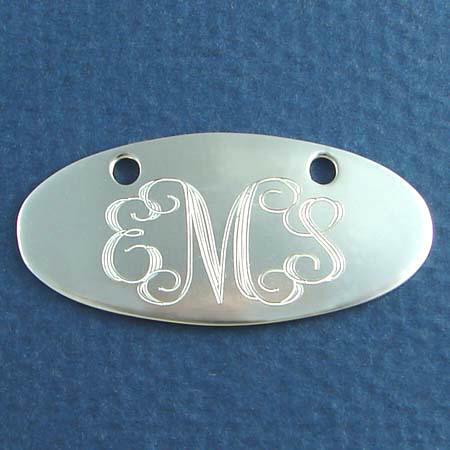 Click here to see available engraving fonts. 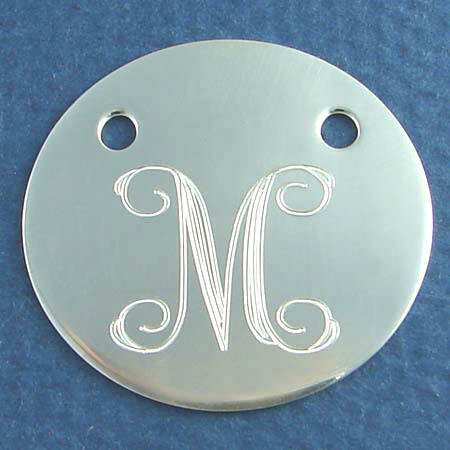 Bridesmaids wedding gifts - sterling silver round charms with monogram initials engraved on the front in the interlock font and "friends forever" and the wedding date engraved on the back of the charm in the Edwardian script font. 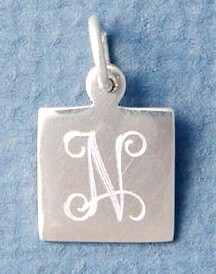 Sterling silver square charms engraved in the Lucidia font. 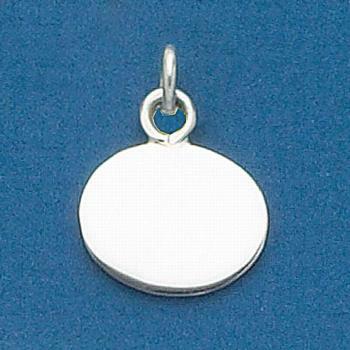 This sterling silver round charm is engraved with the letter C in the interlock font for the first name of the flower girl. 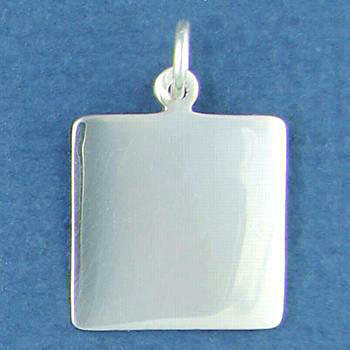 The other side of the charm has the wedding date engraved in the Edwardian script font. 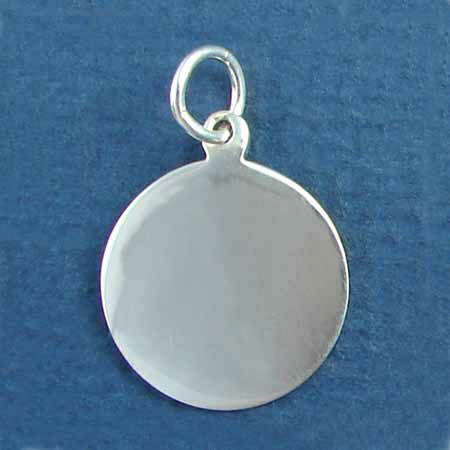 The charm is on our sterling silver double links charm bracelet. 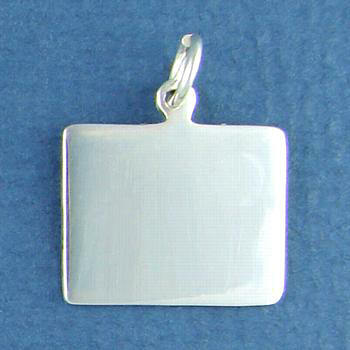 Sterling silver square charm with son's name engraved on front and birth date engraved on back in Romans III font. 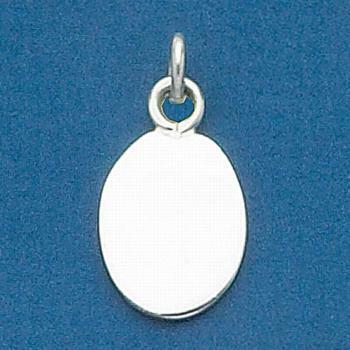 Sterling silver oval wide charm with interlock font monogram.